Fabulous location!! Well over 2000 sqft of living space brings you a beautiful open concept main floor that offers everything you need in a home! Living room has a gorgeous stone surround fireplace, while the dining room has direct access to the back deck. The kitchen features a large island, eating bar, & corner pantry. A private office, 2pc bath, & laundry room complete the main floor. Upstairs you will find a spacious master bedroom with a 4 pc en suite including a vanity, separate shower, jetted tub, skylight, & walk in closet. 2 additional bedrooms with ample closet space, 4 pc bathroom, linen closet, & spacious bonus room conclude the upper level. Fully finished basement is complete with 2 large bedrooms, 3 pc bathroom, storage room, & family room with wet bar! Sunny south facing back yard features a new deck, patio, & garden area. Additional features include knock down ceilings throughout & central vacuum system. 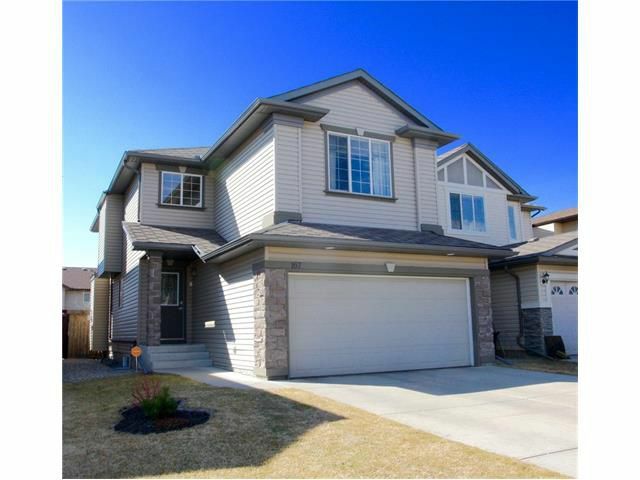 This home is conveniently located close to schools, transit, and shopping.